Grab your friend, sibling, parent, spouse or another family member for an all-levels 60-minute partner yoga class. 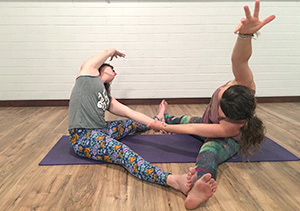 Partner yoga poses help to create greater stability and provide more resistance. Your muscles will be able to relax and stretch, while your partner's resistance helps you stay in the pose. You'll be able to try new poses and find deeper expression of familiar ones. This give-and-receive practice will help develop a greater bond between you and your partner. $25 per person or $45 per couple. After class, we'll enjoy Stam's chocolate and a glass of wine! Please purchase tickets in advance at https://squareup.com/store/covered-bridges-winery. Let us know if you need a mat. Please arrive enough in advance before class to get set up! 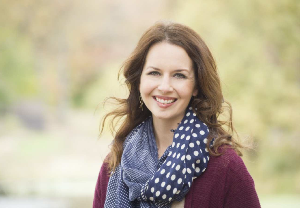 About the teacher: Melissa Walker is a 200-hour RYT, and has training in vinyasa flow and restorative yoga, as well as yoga designed specifically for first responders - firefighters, police officers and emergency medical services personnel. Melissa teaches at Power Life Yoga and for Yoga for First Responders. Off her mat, she loves to travel the world, read, and try new foods and wine.